Manchester City got back on the top of the Premier League with an impressive 6-0 victory over Chelsea on Etihad. Pep Guardiola’s side absolutely trashed Chelsea in the 26th Matchday of the Premier League. Manchester City moved back on the top of the league with the victory, with one match plus played from their contenders Liverpool and Tottenham. Chelsea, on the other hand, lost their fourth place from in-form Manchester United. The heavy defeat also saw them fall behind Arsenal, on the 6th place of the Premier League table, with worse goal difference from the Gunners. The Citizens did not even give a chance to their opponents and were 4-0 up on halftime. Raheem Sterling scored the opening goal in the fourth minute of the game after Bernardo Silva’s ball came off the heel of David Luiz and fell right in front of him. Only four minutes later Aguero missed a clear chance from a yard at the far post, but the Argentinian scored with a 25-yard bomb in the 13th minute. It was 3-0 already in the 19th minute, with another one bagged from Aguero. Ross Barkley who “made the assist” for Manchester City’s striker, after a big defensive blunder. Ilkay Gundogan made it 4-0, after humiliating 25 minutes for Chelsea. It was another gift for City, as Antonio Rudiger poorly cleared the ball and provided the “assist” for the German. Manchester City continued with the same tempo at the start of the second half. Raheem Sterling was brought down in the penalty area from Cesar Azpilicueta, within 10 minutes after the break. Sergio Aguero took the responsibility to take the kick-spot and converted it in a perfect manner. He completed another hat-trick, his second in a row on Etihad. The Argentinian trashed another London team – Arsenal with a treble, in the 3-1 victory last weekend. It was his 11th in the Premier League, equaling Alan Shearer’s record. The 30-year old plays in fantastic form and has now scored 10 goals since the start of 2019. The man who scored the opener has closed the game as well. Raheem Sterling finished Chelsea off, with his second goal of the game. 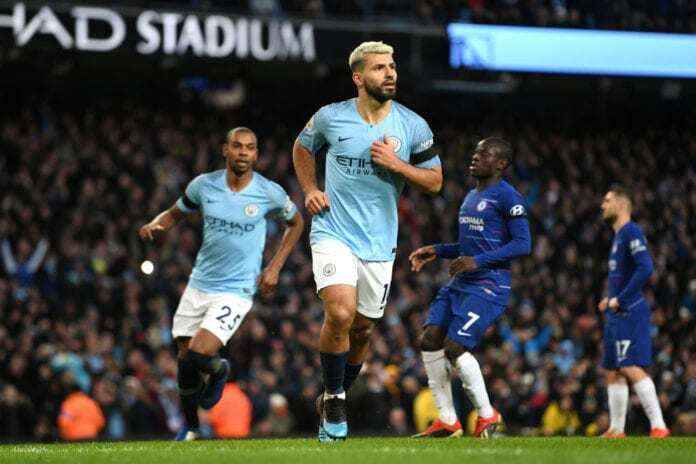 It was City 6, Chelsea 0 at the end in one of the most impressive performances from a single team in the season. Chelsea have suffered their heaviest defeat in any competition since losing 0-7 to Nottingham Forest in April 1991. 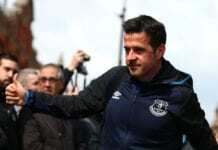 Questions will be asked once again from Italian manager Maurizio Sarri, who left the Etihad humiliated without even having the honour to congratulate to his opponent. Manchester City sent a message to the whole Premier League, and especially to Liverpool that the Citizens are not giving up on their title. No-one has managed to win two back-to-back Premier League titles since Sir Alex Ferguson’s treble from 2007-2009. Are City and Pep Guardiola to do it for the first time in 10 years?